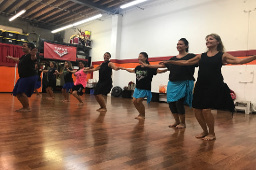 Tupua Island Cardio Dance Workout, combines traditional hula with fitness moves to provide an amazing workout, with plenty of hip movement, footwork, and hand motions to speed up your metabolism and tone your entire body. 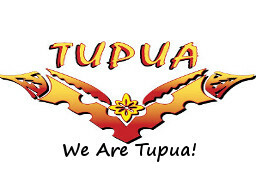 Hula Abs and Buns Tupua Island Dance Cardio Workouts, for sculpting hard abs and tight buns. 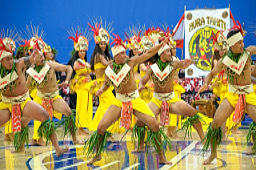 In this program, Tupua Cardio Island Dance combines traditional hula with fitness moves. This dynamic combination delivers amazing results as you dance your way to a slim, toned body with Tupua Cardio Island Dance for Abs and Buns. Benefits of Cardio Exercise: Weight Loss – All exercise burns calories. A deficit caloric intake and your body will burn fat and you will lose weight. Are you at an unhealthy weight now? Find out here: https://www.healthstatus.com/calculate/body-mass-index Stronger Heart – Teaches the heart to work more efficiently. Lowers Blood Pressure and Cholesterol – As your heart beats faster it increases blood flow. Blood vessels become more elastic when they are worked and small blood vessels widen to deliver more oxygen to your muscles. Increased Bone Density – Weight bearing aerobic exercise like walking helps to decrease the risk of osteoporosis. Reduces Stress & Depression – When you exercise, your body releases endorphins which are natural pain killers. Better Sleep – Let’s face it, we sleep better when our body is tired. Maintain muscle strength into old age. – Strong muscles as we age, will keep us independent longer. More Energy – You will increase your stamina and reduce your fatigue. You will be on your way to a more active lifestyle. Reduces the Risk of Heart Disease – Being physically active is important in preventing Heart Disease and Stroke. Strengthens Lungs – When we move our large muscles we breathe faster and more deeply this improves lung function. Live Longer – Studies show that those who regularly exercise live longer than those who don’t. Less Likely to Get Sick – Exercise activates your immune system. Want to avoid a cold? Don’t pass up on your exercise. 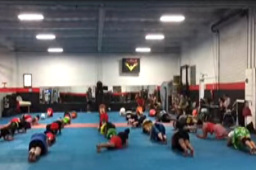 Get In Shape and Sign Up for Our Weekly Polynesian Island Cardio Classes!